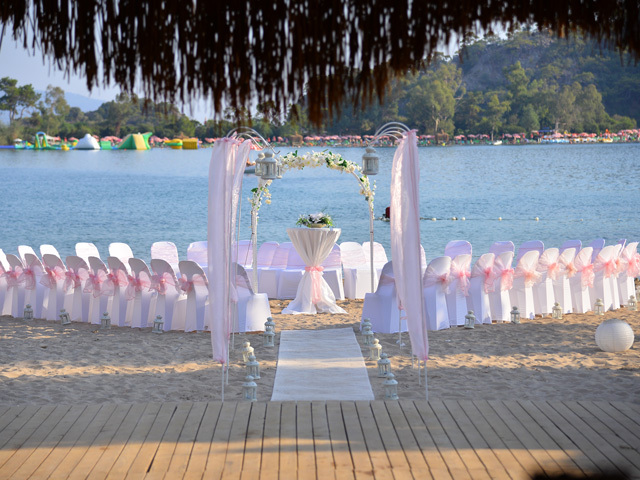 Located on sandy beach at the world famous Oludeniz Blue Lagoon. 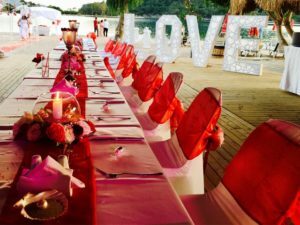 No minimum number of guests required. Maximum about 110 persons. 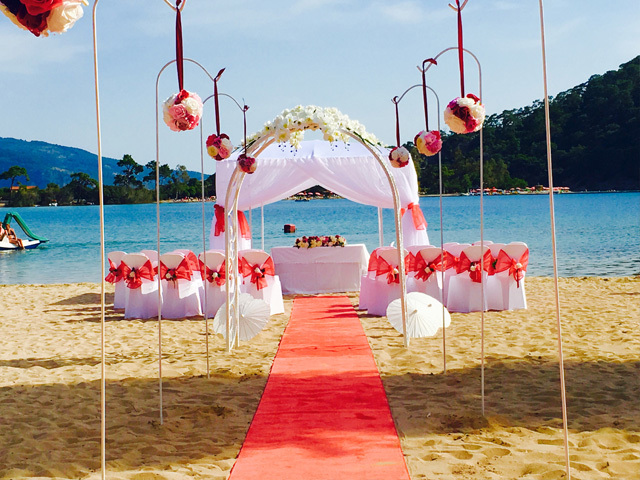 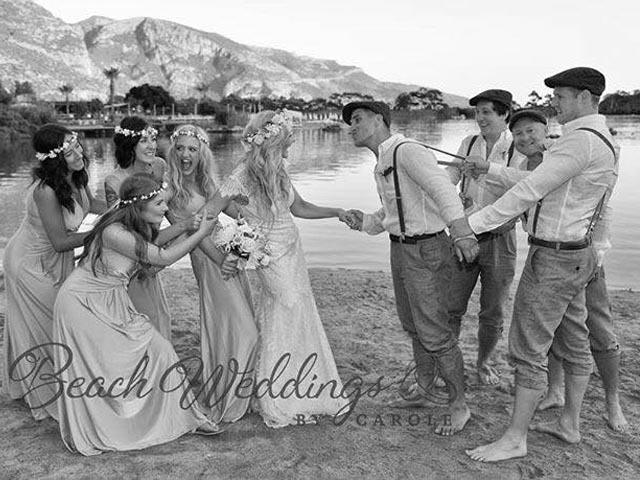 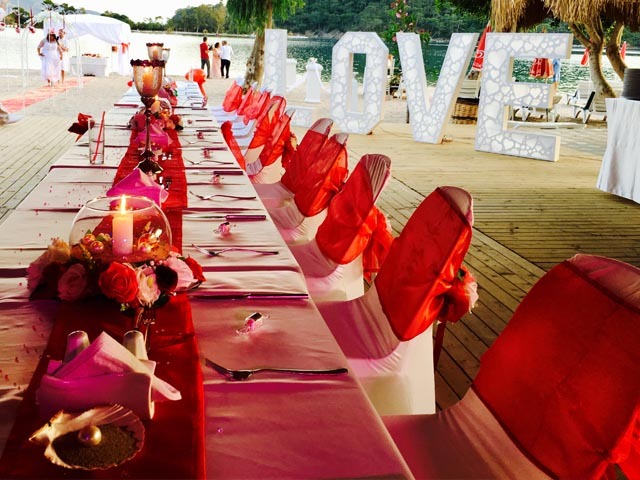 The Blue Lagoon in Oludeniz is our most sought after sandy beach venue for your wedding ceremony. 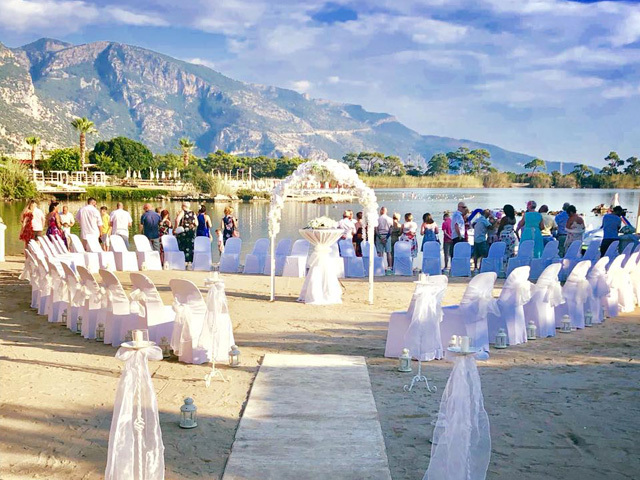 With flights to Dalaman averaging just 4 hours from the UK, it's a great place to holiday for families, with lots to do for people of all ages. 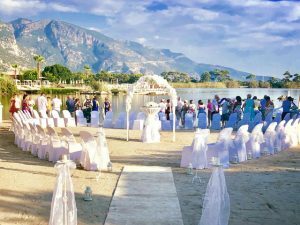 The Blue Lagoons scenic shores are in “Ölüdeniz” which means “Dead Sea”. It is called this because of it's calm blue waters. Situated on the Turquoise Coast of South Western Turkey, it is a famous symbol of not just Ölüdeniz, but all of Turkey. 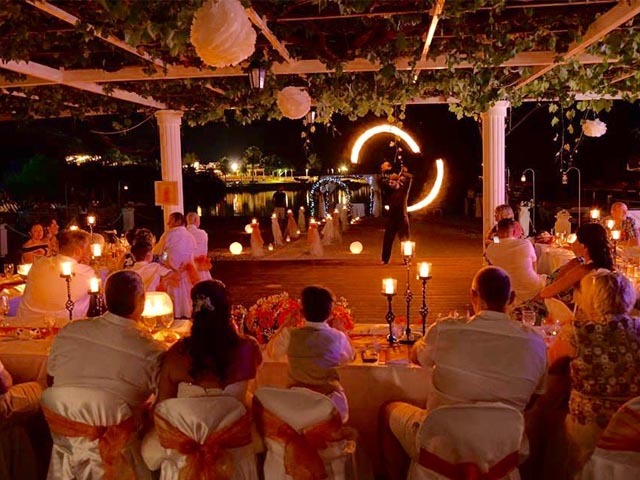 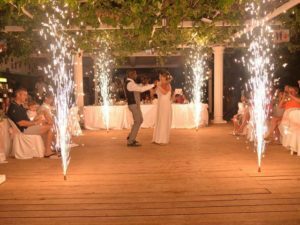 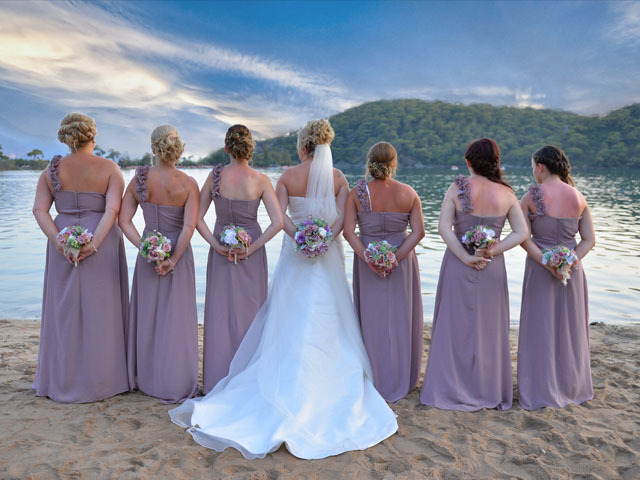 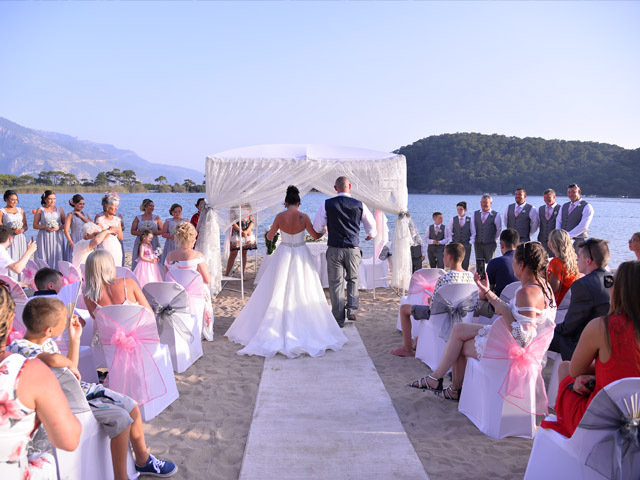 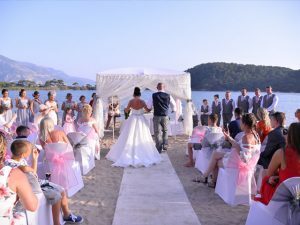 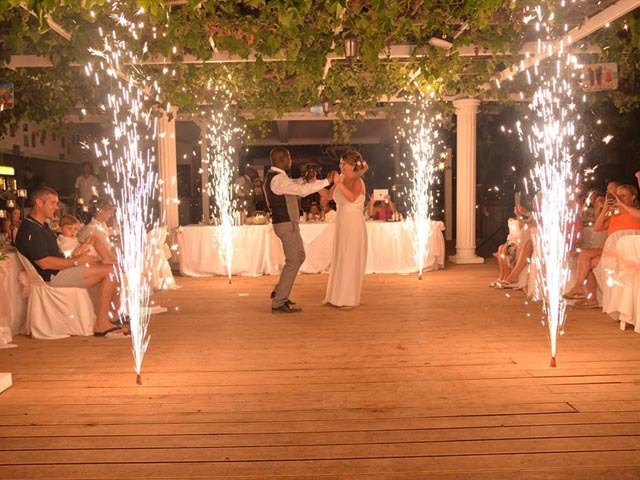 With it's crystal clear waters, views of the surrounding mountains and the added bonus of amazing sunsets, The Blue Lagoon is a perfect destination for your wedding abroad.